I've worked my way back around to this triptych. I started this several months ago and had to put it aside to focus on other work. 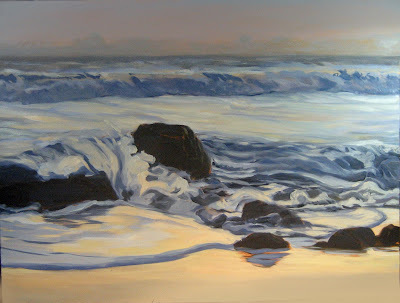 You can see parts of the under painting in this post, and the triptych in progress below. 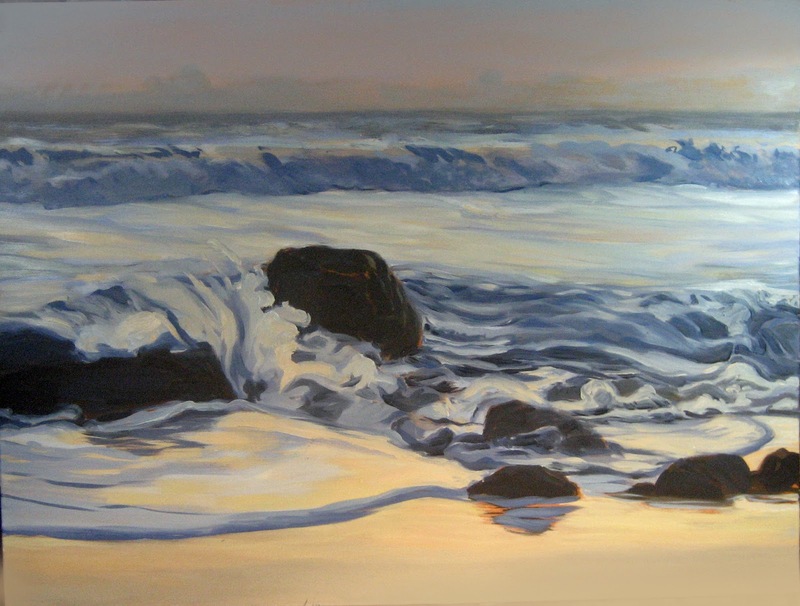 This painting is inspired by El Matador State Beach - one of those places that I've been motivated to paint again and again. It's a beautiful beach, as are many on the California coast, and unique in character, as they all are. This one seems to have that golden light set off by the drama of the rock formations, very different from the coastline further north. Although El Matador is not on the list for closure, 70 or so other state parks are. This represents about 1/4 of all of our state parks and will affect residents and tourists alike, as well as many local businesses that serve park visitors. If you are planning to visit any California State Parks this summer you may want to check this map of planned closures or click here to learn more about it. 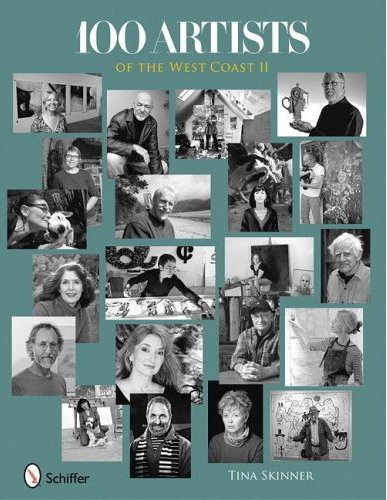 As you you may know, I've been donating a portion of the proceeds from Murmuration to help selected causes, among them the California State Parks Foundation. The CSPF - your voice for the parks - is a statewide, membership - based nonprofit, dedicated to California's 279 state parks. Right now 70 of our state parks face closure - that's about one quarter of them - due to a $22 million general fund budget cut. 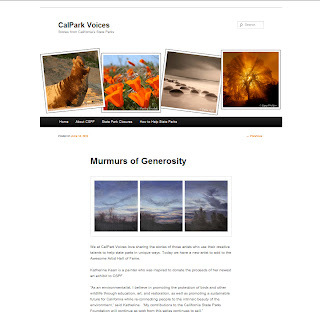 The CSPF blog, Cal Park Voices, has just posted a very nice article, Murmurs of Generosity, about my latest body of work. Click here, or on the image above to read it. graphite on paper 8 x10"
My studio time is scheduled in fits and starts, sandwiched between the many tasks that I deferred over the past few months and the lure of the garden and getting late season planting in. 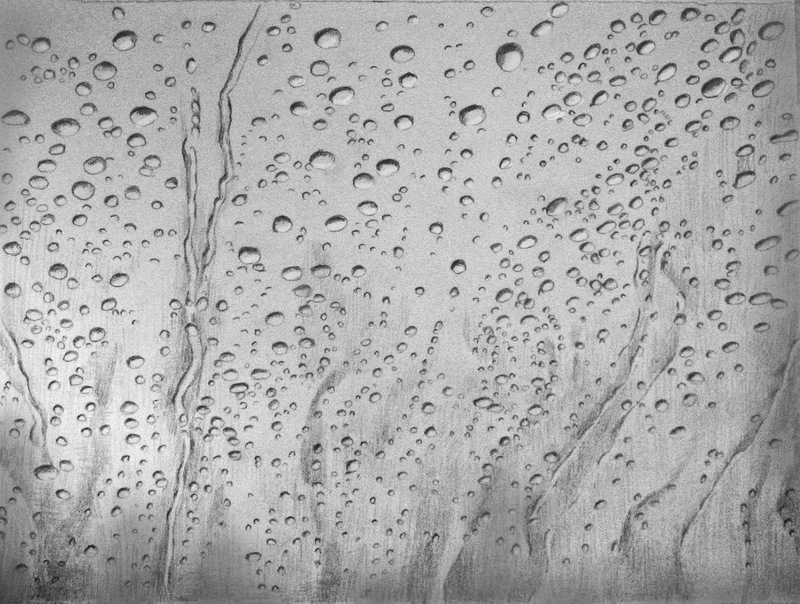 The sketch above is a preliminary drawing to explore raindrop patterns for a new painting. 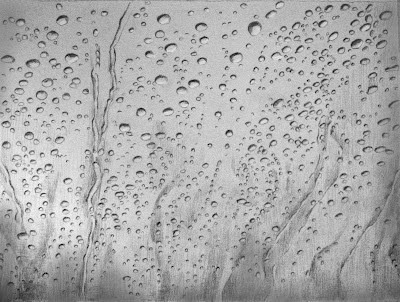 Water is H2O, hydrogen two parts, oxygen one, but there is also a third thing, that makes it water and nobody knows what it is. The atom locks up two energies but it is a third thing present which makes it an atom. 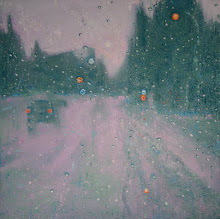 In this painting, I think the "third thing" will live somewhere in between the foreground raindrops and the wet, blurry background of the street. It'll be whatever you, the viewer, interprets it to be. I love wondering about the mystery of the third thing, don't you?